Billy Graham, who has died at the age of 99, was philosophical today after finally getting to meet the person he had devoting his life to promoting. Asked what exactly about Jesus had disappointed him, Graham said it was hard to pinpoint, other than a general sense of being let down. Graham emphasized he wasn’t trying to portray Jesus in a bad light – it’s probably just that his expectations as a superfan were always going to be too high. The late Pastor says he’s sure it will pass, but he does feel like something has been lost. For his part, Jesus was surprised to learn Graham was one of his most enthusiastic followers. 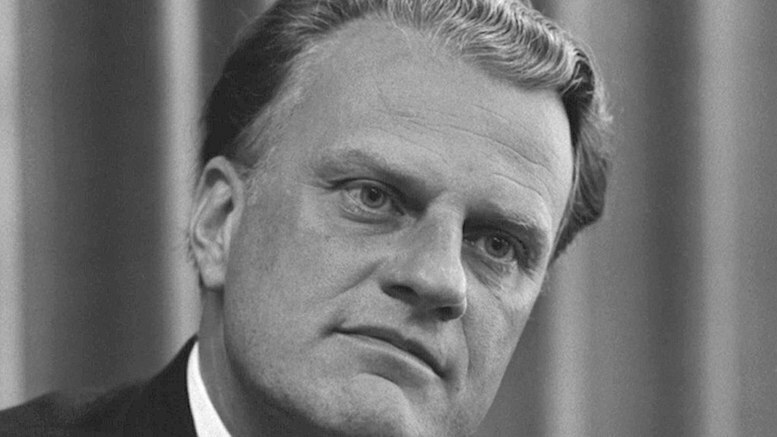 Be the first to comment on "Billy Graham Disappointed By First Encounter With Jesus: ‘Never Meet Your Idols’"